The Super 8 Sanford, ME off of Interstate 95 at Exit 19, just 10 short minutes from Wells Beach. 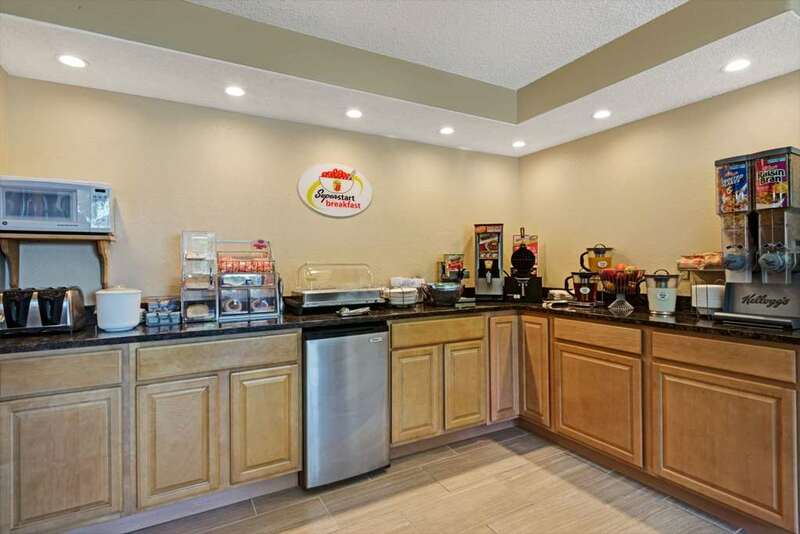 The Super 8 Sanford, ME is just minutes to Coastal Areas, Wells Beach, Old Orchard Beach, and many Restaurants and Shopping areas to go with all of the Beach Activities. The Seashore Trolley Museum and the Sanford Auto Museum are also within minutes of our property. Odiorne Point State Park, Rye Harbor State Park, and Vaughan Wood Historical Site are also just short drives away. The Super 8 Sanford, ME offers Nice, Clean Rooms, Free High Speed Wireless Internet, 25 inch TV, Expanded Cable, Hairdryer, AM/FM Clock Radio,No Pets Allowed.